Music is my LIFE and guitar is my PASSION! I couldn’t imagine a day without them! So, right now, all my forces are directed at GuitarForce.com. I am trying to pass on my experience and knowledge onto other enthusiasts the best way I can. I still learn and practice everyday because music is an endless subject, which is great in the first place. That’s my story, I appreciate everybody who took the time to read and find out about me! 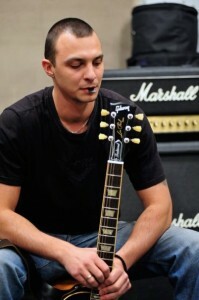 Join me for the journey of learning and having fun here at GuitarForce.com!